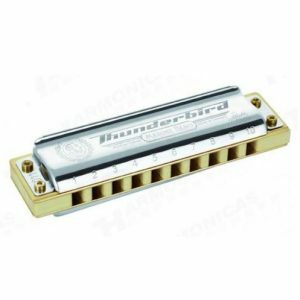 The Hohner Super Chromonica 270 Deluxe has set another milestone in the manufacturing of top quality wooden-bodied chromatic harmonicas. 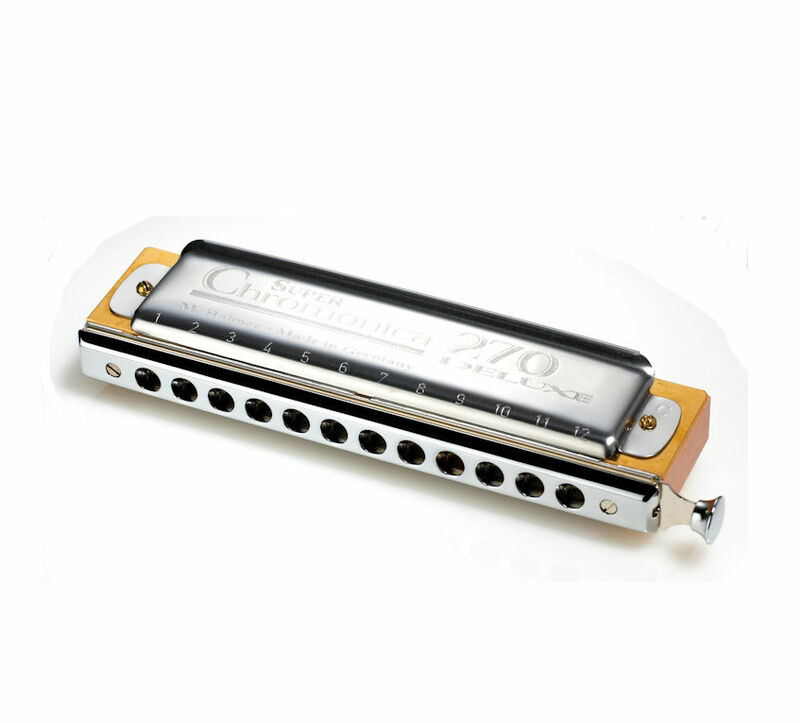 The Chromonica 270/48 Deluxe incorporates a variety of improvements on the original classic 270 design, which optimises handling and ensures greater volume and faster response, while retaining the rich and powerful Hohner classic sound. 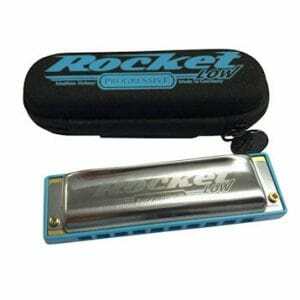 It is the ideal harp for established chromatic harmonica styles and also well suited to more contemporary playing techniques. It is assembled with 5 reed plate screws to maximise air tightness and facilitate maintenance. Chrome plated mouthpiece featuring round holes for greater playing comfort. 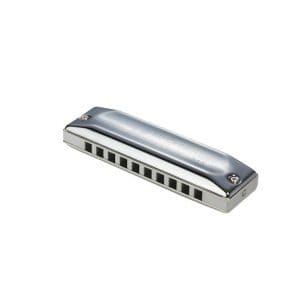 (will also fit the standard Chromonica 270/48 and Toots’ harmonicas). 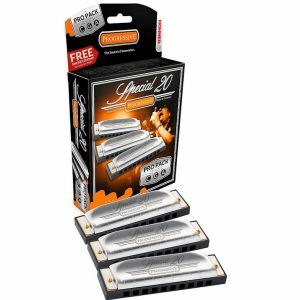 • Extra thick brass reed plates (1.2 mm) for a full, powerful sound. Smooth and silent slide mechanism. Natural finished pearwood body with rounded edges for improved ergonomics. The slide assembly can be adapted for left or right handed use. The cover plate design is stable and robust and is attractively engraved.